Kieran Lampard was once again in run-scoring form for New Bradwell, hitting 60 at the top of the order from just 44 balls. But his partners were not in as rich a vein of form, and runs were hard to come by. Joe Fairbrother took 3-30 for MK, though they were not able to take out New Bradwell in the 40 overs, with the innings ending 199-7. MK lost Nimesh Chavda (11) with the score on 34, but half centuries for Nick Hillman (53) and Neil Gordon (56 not out) guided MK to a routine win (203-3) by seven wickets. Olney's resurgence of late gave MK a helping hand in the title race as they saw off North Crawley by four wickets. While Alex Walker, the league's second highest runs-scorer, hit 82 at the top of the order for North Crawley, they only posted 196-7 as Josh Selvey ended with figures of 3-31. Despite losing opener Peter Young (8) and Jack Watson (4) cheaply early on, Jeremiah Shields (40) and Iain Keeping (60) helped guide Olney into a winning position. 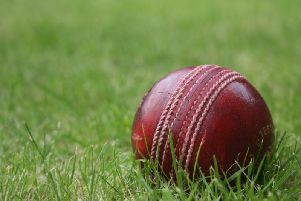 But it would be a nail-biting finale, leaving it until the final over to crack the winning runs (199-6). 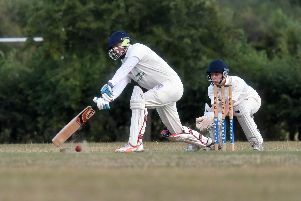 Westcroft suffered a surprise defeat to relegation scrappers Great Horwood. A monster opening partnership between Stuart Parker (117) and Sam Willet (57) saw Horwood cruise to 216-2. But Westcroft's reply would come up short, despite 52 from Alex John in the middle of the pack, bowled out for 195. New City remain in the relegation zone after a six-wicket defeat to Thurleigh. Dharmesh Mistry's 55 was the highlight of their 164 all out, but an unbeaten 61 from Martin Bennett saw Thurleigh (166-4) ease to victory.